They told her she was crazy. No business could survive just selling cookies. 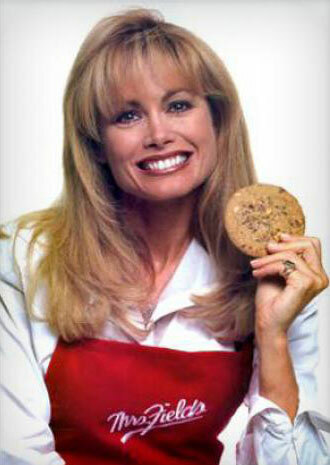 However, with humble beginnings, Debbi launched into a worldwide celebrity and made her company, Mrs. Fields, the premier chain of cookie stores across the world offering a singularly indulgent treat time and again. Debbi is no longer directly associated with the company but continues to be an icon in business across the world. Her motto remains with the company “Good Enough Never Is” reflecting our uncompromising dedication to our customer’s experience. We accomplish this by delivering the highest quality cookies, muffins, brownies and other fresh baked goodies. Today there are over 300 Mrs. Fields locations around the world.